Applying for and being approved for Social Security Disability Insurance (SSDI) benefits can be a time-consuming, challenging process. As your medical costs and household bills are mounting, it can be frustrating to face rejection, but the truth is that many claims are initially denied or fail on a reconsideration appeal. That means back to the drawing board for many applicants, but getting another bite at the apple means you can provide more compelling evidence to support your claim. If your claim was denied, you may have more success with a Social Security Disability hearing by implementing these key strategies. After you review the first two, you will see why #3 – hiring a skilled SSDI lawyer – is probably the most important factor. Applying for Social Security Disability- You should begin thinking about applying for social security as soon as you become disabled, keeping in mind that you are still only eligible if you suffer from a disabling condition that is expected to last a year or longer. 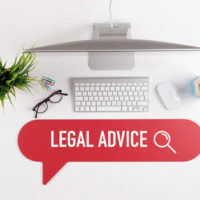 However if you file immediately, the chances of being denied seem to increase because it is more difficult to demonstrate that you will be disabled for one year. Our opinion is to wait about four to five months before filing . However we suggest that you consult with an attorney as soon as you become disabled to properly begin the documentation process. Names , addresses, and telephone numbers of all physicians, specialists,therapists and health care providers. Keep a list of the date of each visit. Keep a list of all medications, including the name of the medication, dosage, who prescribed the medication, the reason you take the medication and the side affects. Identify each medical or mental problem that affects you, and what symptoms result from each medical or mental problem. Make sure that you inform each medical provider of your symptoms and make sure that he/she places these symptoms in your medical record. This is extremely important!!! Retrieve a copy of your medical records from each health care provider. Know how to ensure the best possible outcome in your case. Please contact Steinhardt, Siskind and Lieberman, LLC for more information on strategies to win your disability hearing. We are happy to assist with your claim after conducting a free consultation at one of our Maryland offices in Glen Burnie, Owings Mills, Ellicott City, or Annapolis.